New York Communities for Change is one of the most badass organizations in New York. These guys unionize fast food workers, fight stop-and-frisk, did serious relief work during Hurricane Sandy, and are the essence of solidarity not charity. Honored to be a supporter. I’ll be drinking at their event. If you sign up as a $40/month donor, you get this exclusive signed print of New York Communities for Change member Pamela Flood, one of the organizers of the fast food workers’ strike. Love the work New York Communities for Change members are doing in the fight for worker justice, affordable housing, and public schools? Come join us to celebrate this work and to find out how you can make sure that work gets bigger and better at our Friends of NYCC Kickoff and Fundraiser! Join us for drinks, mingling, laughs, and a retrospective of NYCC’s work and what’s in store for the rest of 2013. 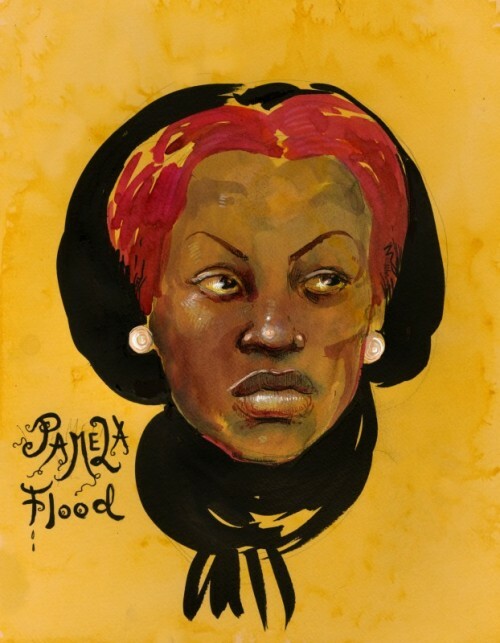 Find out how to become a Friend of NYCC, and how you can get a print of Molly Crabapple’s portrait of Fast Food worker and activist Pamela Flood! For more info, contact Greg Basta ([email protected]) or Gina Bull ([email protected]). This entry was posted in Events on May 8, 2013 by 7548pwpadmin.